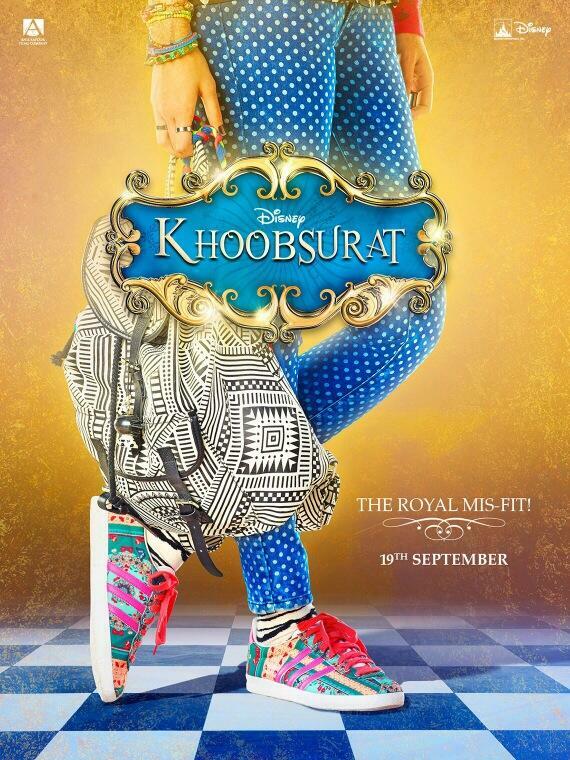 Sonam Kapoor starrer Khoobsurat first look launched. Makers of the upcoming movie ‘Khoobsoorat’ have released the first look of the film. The upcoming movie is produced by Rhea Kapoor and Disney and is directed by Shashank Ghosh. Sonam Kapoor will be playing the lead role in the film. The movie is a remake of the classic Bollywood blockbuster with the same name which starred veteran actress Rekha. The story of the movie is about Mili(played by Sonam) – a vivacious and fun girl – who turns the lives of a royal family upside down. The producer said that they are excited to make ‘Khoobsurat’ with Disney India as the company has always stood for wholesome and heart warming entertainment. The poster of the film sure looks unusual, with only a waist down look of a girl donning funky polka dotted pants paired with multi-colored sneakers, we wonder what the film is about! Rhea added that Shashank’s take on the movie is colourful, unexpected and fun. The star cast of the movie also includes Ratna Pathak, Kirron Kher and Aamir Raza Hussain. Director Ghosh will be making a comeback to Bollywood after his 2009 film ‘Quick Gun Murugan’. The shooting for the movie has recently started in Bikaner and Rajasthan, the film is all set for a September 2014 release. Next articleTIGI foundation football match - Donate to meet a Bollywood star!